Unfortunately, the subscribers’ list went astray in the transfer, which means that if you want to receive automatic updates, you need to re-regiester your email. I’m looking forward to your visits, comments and suggestions. 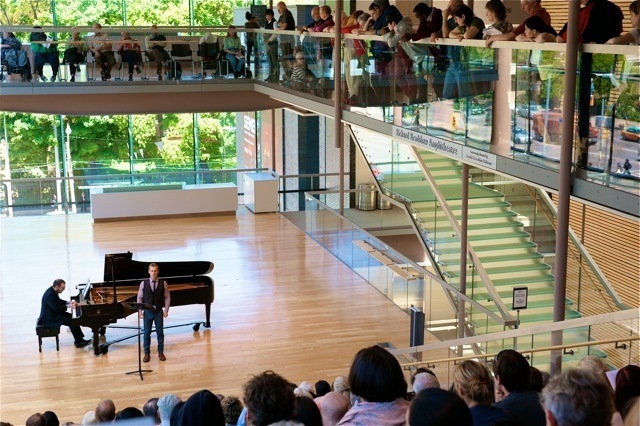 COC Ensemble Studio member Adrian Kramer sang his farewell concert at the Richard Bradshaw Amphitheatre with accompanist Christopher Mokrzewski last May. The most significant concert presenter in this city outside the Toronto Symphony Orchestra is Nina Draganic, the unheralded doyenne of the Canadian Opera Company’s annual 10-months of free concerts at the Richard Bradshaw Amphitheatre. 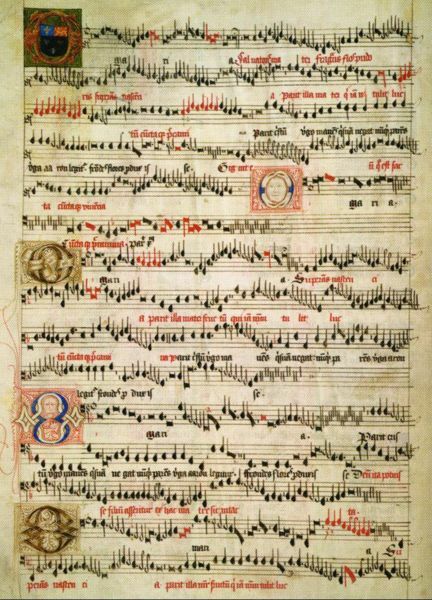 A page from the Eton Choirbook representing a motet by composer John Browne, whose reationship with the fabled school started as a choirboy in the 1460s. There was an in-joke among English choristers in the late 15th century: “The French sing, Italians shake, Germans wail and the Enlish rejoice” (Galli cantant, Italiae capriant, Germani ululant, Anglici jublilant, in the original Latin). 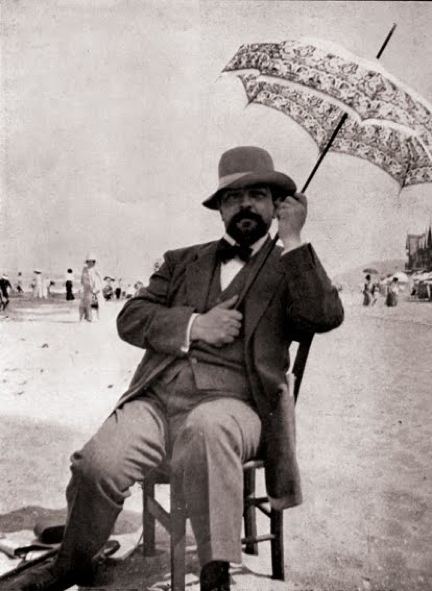 Today marks the 150th anniversary of the birth of Claude Debussy, one of Western music’s revolutionaries. As with the varying styles of Impressionist paintings, the long view represents something defined, but the closer you get, the more his compositions start to fall apart into the individual components that our minds work imperceptibly to piece together into meaningful shapes. The long view is so sleek and seductive that listeners long ago began taking Debussy’s art for granted. 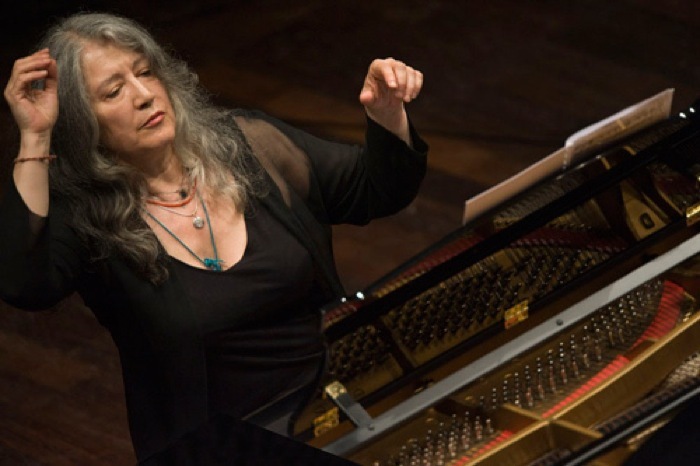 For 11 straight years, pianist Martha Argerich has assembled her personal dream team of musicians for a festival in Switzerland — captured in an album of highlights. 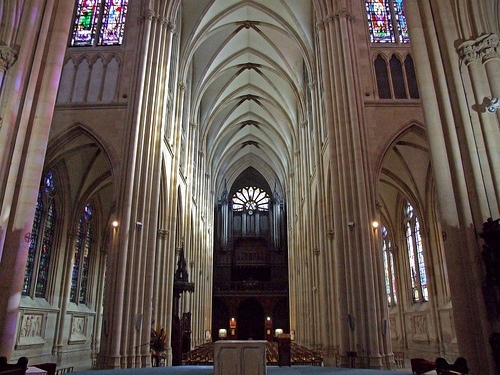 Sainte-Clothilde basilica in Paris inspired César Franck. The pipe organ has had several lives over its five-century history, the grandest as a symphony orchestra substitute, starting in the second half of the 19th century.